A car that proposed a profound rethinking of urban transportation, the Smart brand launched for the European market in 1998. While a sleek, efficient vehicle design, Smart’s has been a problem-plagued automaker financially and has seen their future in peril more than once since full-scale car production. Absorbed into Daimler-Benz, the German auto company has allowed Smart, led by their Fortwo, pushed on to perfect their B-segment brand. Even though the United States auto market has rebounded with crossover and large trucks leading the surge back a dreadful 2009, a growing automotive consumer base in North America are demanding smaller car offerings specifically in the five-door hatchback variety. Already building the smallest mass-marketed vehicle in the United States, Smart has announced their intentions to grow their business with a larger five-door Smart product by early 2012. To be constructed on a Nissan platform, likely the same basis of the current Versa, this will be the first Smart car other than the Fortwo sold in the United States. A first for Americans, this will not be an initial outing for the producer of B-Segment compact cars. Having attempted before to branch out the Smart name beyond their conventional two-seater, European markets were already greeted with a four-door called the Forfour (shown at the top of this article). Produced in conjunction with Mitsubishi Motors between 2004 to 2006, the Forfour was intended for the United States if it was not for poor sales in Smart’s existing markets. In 2006, a mini SUV concept named the Formore was also positioned for the U.S. auto market but the whole vehicle was eventually canceled by Smart. Supported this time by the wishes of Penske Automotive Group, Smart’s exclusive United States dealership channel, “We are faced with continuing customer demand for the Smart car with more seating capacity.” said Roger Penske, Chairman of the Penske Automotive Group adding that the five-door Smart car will fit well in the current automotive market. As an interesting side note, when Roger Penske attempted to buy the ill-fated Saturn brand from General Motors, a Nissan Versa-based vehicle was one product was roaming around the rumour mill. An exclusive product for the United States (and perhaps North American) market, additional details on the five-door Smart car (engines, pricing, etc.) will come at a later date. 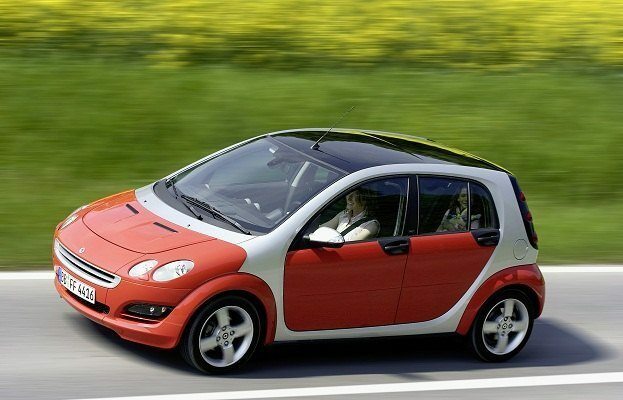 1 Comment on "Five-Door Smart Car To Sell in US"
I like this car. Can't wait to try one out..